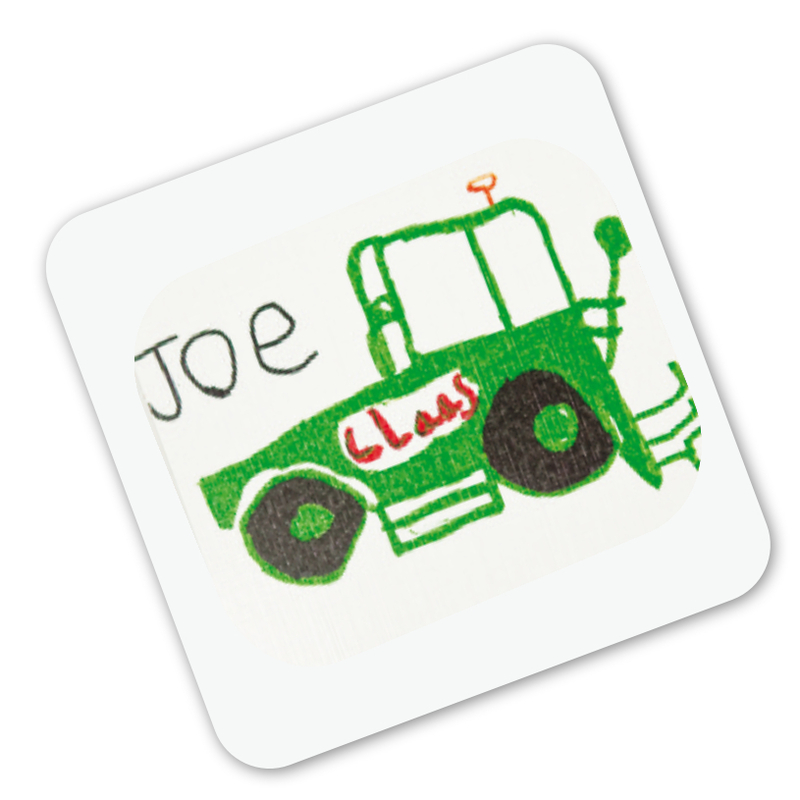 Product Description: Square, red felt table protectors, wipe clean coasters featuring each child’s design. The brighter the design, the more they shine! Coasters are always popular as they make a great gift, meaning parents will often order several. Coasters can also be used as door plaques by using sticky pads to fix them in place (not supplied). As these are a low cost item, parents often order several as gifts. Cost price: £2.64 per coaster. Inc vat. Minimum order is only one, per design. Also available as a 4 pack. 1. Download our 'Square' template/order form. 2. Get creative by following the instructions on the template. 3. Send us your completed designs together with the completed order form. Mugs. Hanging decoration. Fridge magnet. Dry wipe board. Sticky notes board. Shopping list. Placemat. All Coaster Cards.